Samsung sees the popular Raspberry Pi board as a way for a potentially large number of enthusiasts to develop products with Tizen OS. For that purpose, the company initiated a port of Tizen 3.0 OS to Raspberry Pi. It is now possible to create custom versions of the latest Tizen OS for the development board through tools provided by Linux-based collaboration projects. Tizen is being used in mobile devices, wearables, TVs and other products. Samsung hopes users will create Tizen-based IoT devices through Raspberry Pi. 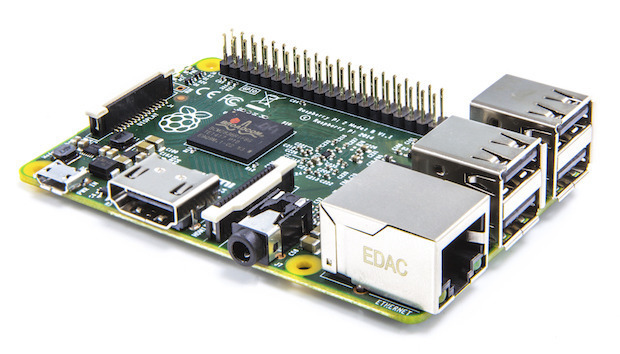 Raspberry Pi boards have sold in the millions and have been used to make robots, wearables, drones and other devices. The Pi 2, which is priced at $35, supports versions of Linux like Raspbian and Ubuntu, and also Microsoft's Windows 10 IoT Core. The effort to port Tizen started a few years back and beta versions have since been released. But the development has gradually matured with support being added for more hardware and IoT connectivity protocols. It is possible to create full-fledged Tizen versions for boards like Raspberry Pi 2 via tools provided by the Yocto and OpenEmbedded projects. Tizen distributions created through the Yocto Linux-based collaboration project were discussed at the FOSDEM (Free and Open Source Developers' European Meeting) conference late last month. A particular focus was placed on Tizen for IoT devices. The future of Tizen 3.0 -- which is still in beta -- in mobile devices and wearables hangs in the balance, with Android and Apple's operating systems dominating those markets. Independent developers are also contributing to port Tizen to the MIPS architecture.